Dive into the diary of my 12 week visit to an addiction treatment centre, written at the time and in full graphic detail. The experiences of my rehabilitation process give an insight into the 12 step process and how it led to my recovery from drug addiction. A narrative on love, obsession, insanity and redemption. I didn’t hold back when writing in my diary. Experience every moment with me, as I explore the possible reasons behind why I became an addict and meet others who were lost, just like I was. In the depths of my addiction I was a heavy marijuana smoker. I couldn’t function. I couldn’t keep a job. My life was a mess. My family life was shattered. My parents and my sisters wanted nothing to do with me whilst I continued to flush my life down the drain. My romantic relationships were doomed to fail. Finding partners who were as damaged as me was all I could hope for. I thought I could help them. I couldn’t even help myself. Who was I kidding? My friendships were one sided. They were based on what I could get from others or what others could do for me. I used them. I betrayed them. All this just for one more joint, over and over again. I couldn’t be trusted by others and I certainly couldn’t trust myself. I tried to leave town and start afresh, but that didn’t work. Just when I thought there was no escape from the abyss I was rescued. I record the washing machine of thoughts and feelings I experienced from the moment I arrived in rehab until my treatment was complete. After being clean of drugs for nearly 5 years I decided that it was time to share my experience of getting clean in an addiction treatment centre. I hope to send a message of hope to all people suffering from addiction and give their parents an insight into what may be going on in their heads. 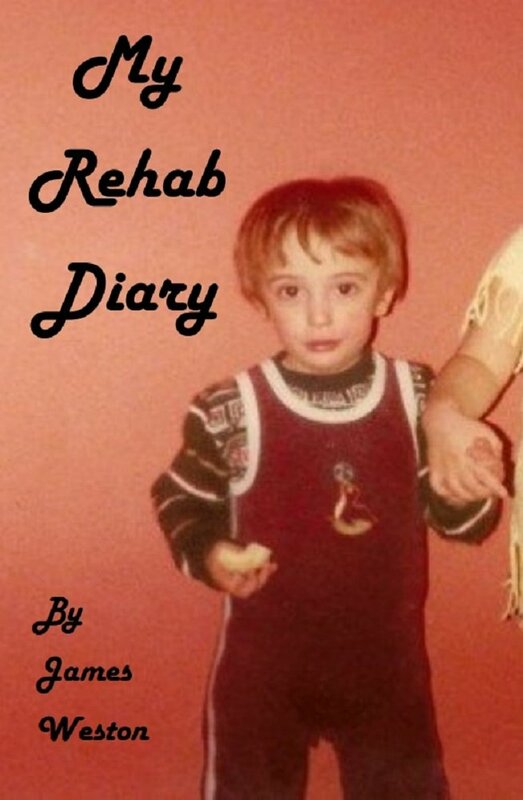 This is a true story of my time in rehab, so all of the characters in the book are actually real people, with their names changed to protect their anonymity. James Weston was born in 1981 in Edgware, Middlesex and grew up in North West London. James has a BSc in Applied Psychology, which was achieved at the University of Bedfordshire. In the depths of his addiction James was a heavy marijuana smoker and has published his diary so that readers may dive into the head of an addict in recovery. A record of the roller coaster of thoughts and feelings experienced by a young person in rehab.